Published on 23 September 2018. We had only just tucked away all of the prototypes after our pop-up store during Paris Design Week, when it was time to pack them again. Direction: London Design Festival. Regretting the fact that we didn’t have a stand or even a store for the occasion, we had four days to discover the best of what the city had to offer in terms of design. 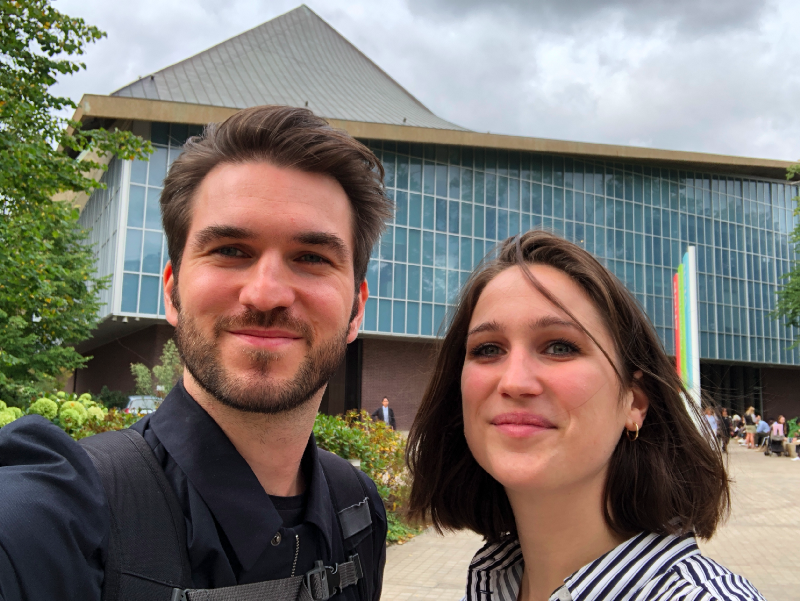 First stop, the inevitable: Design Museum, as per coincidence on a walking distance from our temporary residence in Kensington. 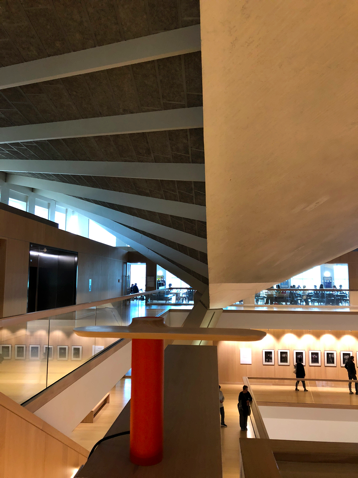 Admiring John Pawson’s work has never quite been so satisfying, as when you can actually walk into the new home for contemporary design and architecture. 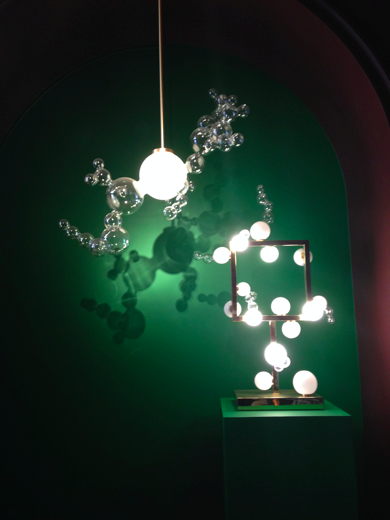 Inspired by the works of the sweeping paraboloid roof, we couldn’t help but get a quick snap of our lamp here. 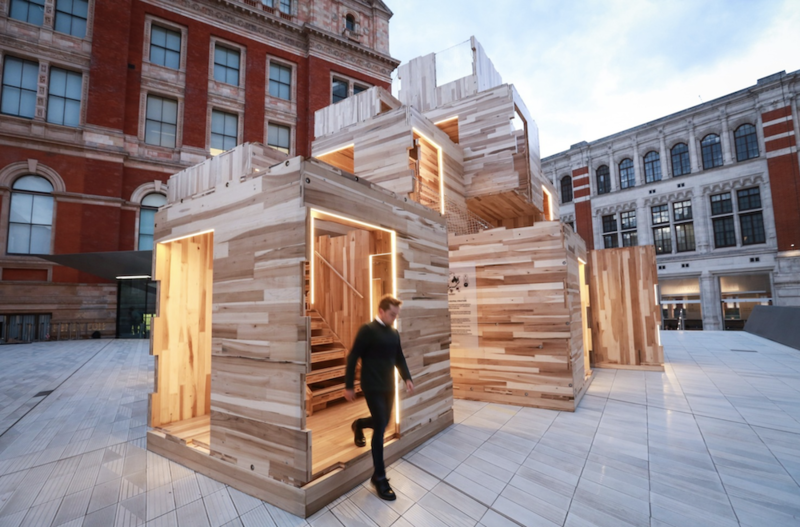 Great timing: Japan House has just opened its doors. 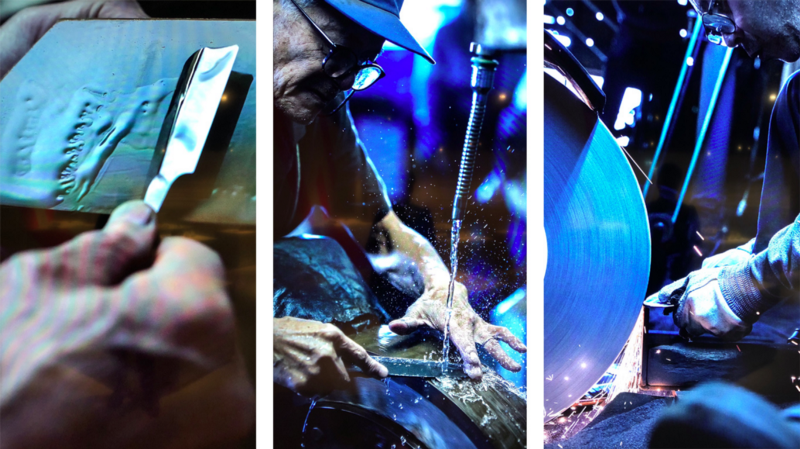 We may have been a day too late for the grand opening by the Duke of Cambridge, but we did not miss the marvellous representation of Japanese metalworking mastery. 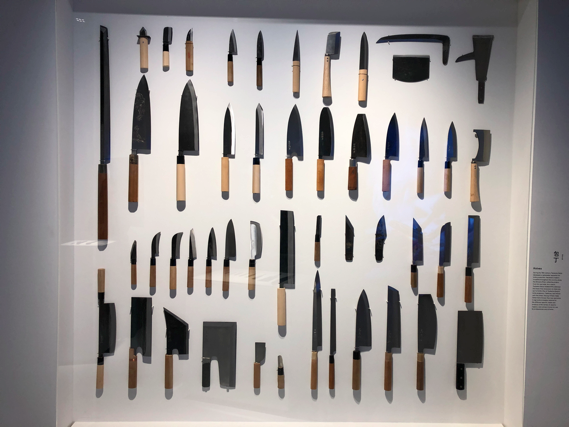 Numerous handmade objects such as Japan’s famous knives embody traditions of savoir-faire and blend the ancient and the modern. Truly inspiring. 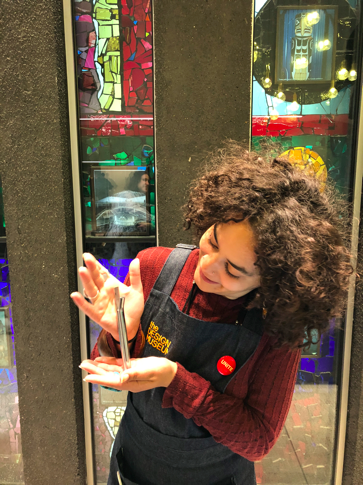 A new day in London has been filled with some wonderful experiences and discoveries such as Sketch gallery, presenting works of hand-blown glass by Matter of Stuff, at the entryway of the establishment. We eventually wounded up being drawn towards the Pink room not just by the stunning aesthetics of the interior but by the ever-voluntary team at the entrance responding to our curiosity as well. 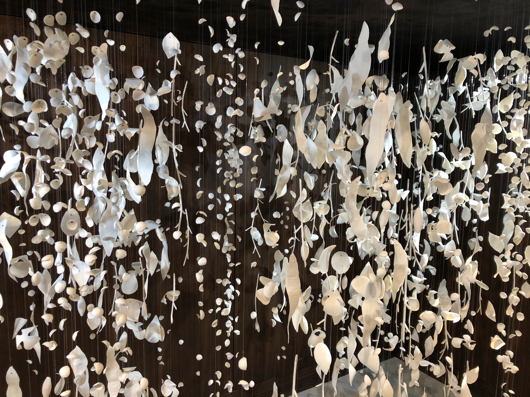 Just around the corner, Liaigre’s elegant rainforest installation in porcelain branches and leaves made sure that just for a slight moment, we forgot the busy city-centre we were in… Or the fact that we just walked into a still closed store… oops! Kindly escorted out the door as the installations were still being finalized, we admit: we came at the very beginning of this design week. Back to business: The Conran shop. The Pinterest event was all set up as we walked in, and we couldn’t have gotten a more delightful welcome. If shopping can now be as simple as to pin your favorite articles from this store, where do we even start? In the lighting section I would say. Without further hesitation, we presented ourselves to the amazing personnel and got to chat about our project. 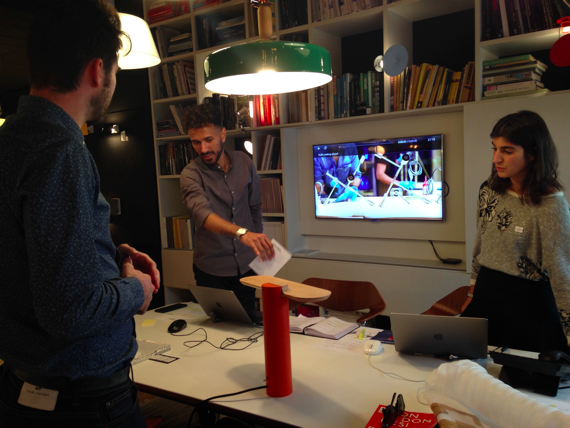 As talks went on about strong pieces that stand out, we couldn’t keep ourselves from pulling out our lamp, designed by Ferréol Babin. 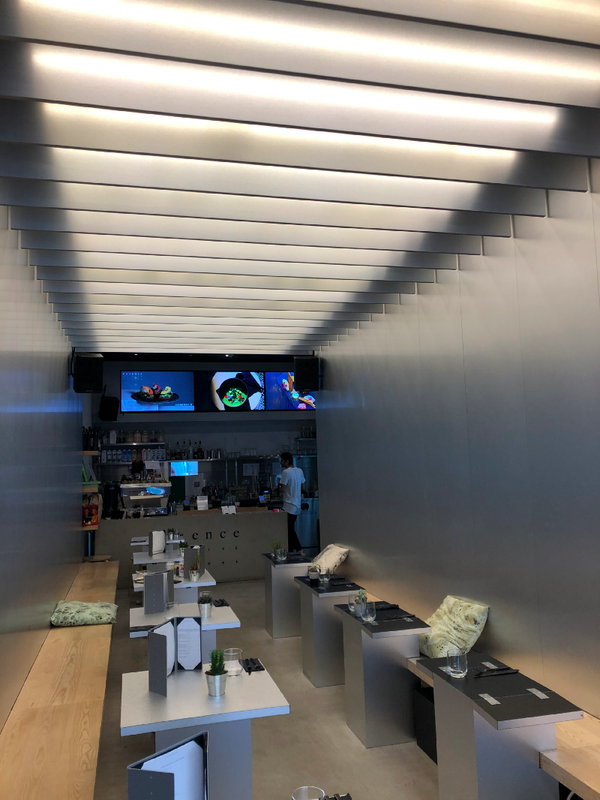 On our last day, some more stops at local shops but also at Viaduct and the twentytwentyone showroom -where we could have stayed to enjoy the scenography all afternoon- would confirm our next challenge: getting our first collection to be distributed out here. 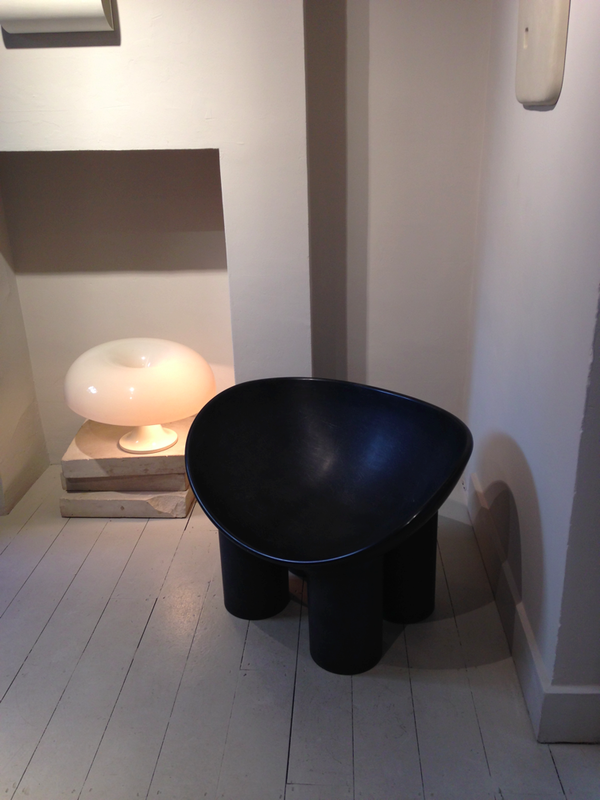 DANIEL’s personal favorite goes to the House of Toogood that had an exquisite, authentic universe to discover. Concentrated on the appreciation of manual work and inspiring the use of durable materials, we find ourselves to connect. 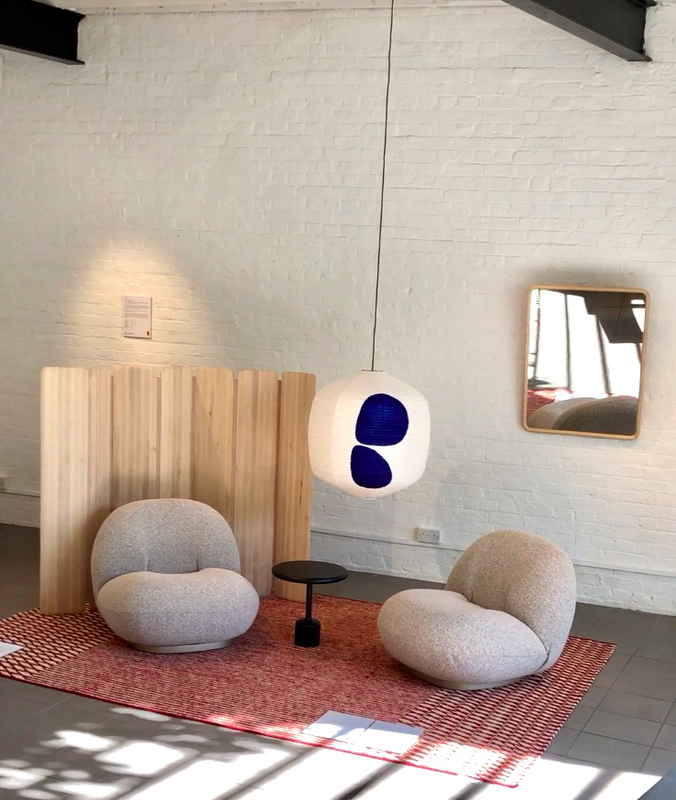 The Roly Poly scoop-seated chair in a single piece of fiberglass is what led us to the store; the warm welcome at the door and coherent interior is what made us stay for a while. Last but not least, we had to drop by one of Bozarthfornell’s projects: the interior for Essence Cuisine. Its minimalistic feel and intelligent use of aluminium may remind you of DANIEL’s desk piece Anchor (paperweight, design by Bozarthfornell). Pre-orders for Anchor are still open, by the way. Thank you London for this Design Festival, and thank you all for reading this. Have a good week everyone!